here’s an article from business world online courtesy of Margaux A. Advincula, a Tax Senior Director of SGV & Co., on the new guidelines for Tax Free Exchanges. 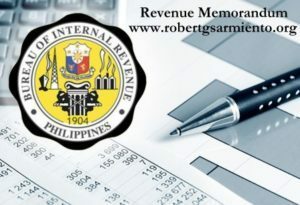 As part of its efforts to streamline the Philippine tax system, the Bureau of Internal Revenue (BIR) issued Revenue Memorandum Order (RMO) No. 17-2016 (RMO 17-16) dated May 5, 2016 to supplement the guidelines in recording the tax-free exchange of properties for issuance of shares under Section 40(C)(2), in relation to Section 40 (C)(6)(c) of the 1997 Tax Code. Section 40(C)(2) includes transactions involving a corporation which exchanges property for stock, a shareholder who exchanges stock for stock of another corporation, or a security holder who exchanges his securities for stock of another corporation, that is also a party to a merger/consolidation. It also includes transfer to a controlled corporation where not more than five persons transfer property in exchange for at least 51% of the voting shares of the transferee corporation. In these instances, no gain or loss will be recognized. Revenue Regulations (RR) No. 18-2001 (RR 18-01), as amended by RMO No. 32-2001, contain the existing guidelines in monitoring the basis (amount to be used as cost) of the property transferred and shares issued under Section 40(C)(2). These guidelines require a certification or ruling signed by the Commissioner of Internal Revenue on the tax-free exchange and also provide for penalties for non-compliance. There are two valuation bases in a tax-free exchange under Section 40(C)(2): the basis of the transferee (issuer of shares) in recording the property; and, the substituted basis of the transferor (of the property) in recording the shares received. The substituted basis is also relevant in computing gain or loss in subsequent transfers of the property and the shares. Under RMO 17-16, the basis for the transferee in recording the property is the asset’s fair market value (FMV). The value of the shares issued should be equal to the FMV of the property transferred (value for value exchange). Additional paid-in capital is not allowed. The FMV depends on the kind of property transferred. When the property consists of shares, RMO 17-16 cites the rules under RR 06-2013, that is, the FMV of listed shares is the closing price on the day of the transfer, or the day nearest if no sale is made on that date. The FMV of shares not listed and not traded is the book value in the annual financial statements duly certified by an independent CPA nearest to the date of sale. The assets in the financial statements should be adjusted to its FMV as of a date not earlier than 90 days from the date of transaction. On the other hand, for the transferor, the substituted basis is used in recording the shares received in consideration for the property exchanged. We must stress that Section 40(C)(2) merely defers recognition of the gain or loss from the transaction. Accordingly, gain or loss may eventually be recognized in a subsequent transfer of the property or shares. What then is the substituted basis? Under Section 40(C)(5), the substituted basis of stocks or securities received by the transferor is the original basis of the property, stock or securities transferred minus the money received, and the FMV of other property received, plus the amount treated as dividend and any gain recognized on the exchange. If the transferee assumes a liability, or acquires from the transferor property that is subject to a liability, it shall be treated as money received. As to the transferee, the basis of the property should be the same as it was in the hands of the transferor, plus any gain recognized to the transferor. RMO 17-16 provides pro-forma entries in recording the property and shares in a tax-free exchange, which both the transferor and the transferee can refer to. It additionally states that failure to annotate the tax-free exchange in the certificate of title of ownership of properties would render the ruling null and void. However, it is interesting to note that the Court of Tax Appeals (CTA) En Banc, in Commissioner of Internal Revenue v. Dakudao & Sons, Incorporated promulgated on May 15, 2015, and more recently, in the CTA Division ruling in Lucio L. Co, Susan P. Co, Ferdinand Vincent P. Co and Pamela Justice P. Co vs. CIR promulgated on June 2, 2016, held that securing a BIR ruling under RR 18-01 is not a condition precedent for the availment of tax exemption under Section 40(C)(2) of the Tax Code. Interestingly, RMO 17-16 would be a basis for taxpayers in explaining the treatment of the tax-free exchange transactions and the differences, if any, with Philippine Financial Reporting Standards. While other directives issued by former Commissioner Kim Jacinto-Henares in her last month in office were either revoked or suspended, RMO 17-16, having been issued in May, continues to be in effect. As such, taxpayers who plan to enter into tax-free exchanges must still comply with the guidelines provided in the issuance.